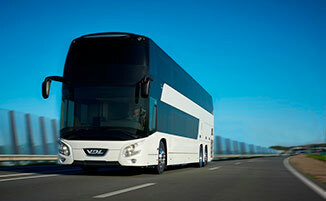 With the low floor Citea, VDL BUS & COACH was amended the prize of “Coach of the Year 2011”. The 19 judges saw it as a perfectly balanced vehicle in every aspect. The beautiful and extremely flexible double decker of VDL BUS & COACH shows the way to competition with it unparrallel reliability and the ability for transfer of great passengers number. The Navigo T, best seller of OTOKAR in the category, makes it's range complete with another version at 8,5 meters and 35+1+1 seats, keeping all the advantages that accented it..